At the heart of efficient communication is presence management – a system that has been an integral part of estos software since 2003, and is constantly being developed further. Today, the ProCall 6 Enterprise presence management system provides unprecedented visibility into the accessibility of colleagues. In LiveChat 2, presence management ensures that visitors to a company website are always offered the employee currently available for immediate contact. The presence management system from the unified & CTI software suite ProCall 6 Enterprise wins the coveted innovation award in the "Information Technologies" category. 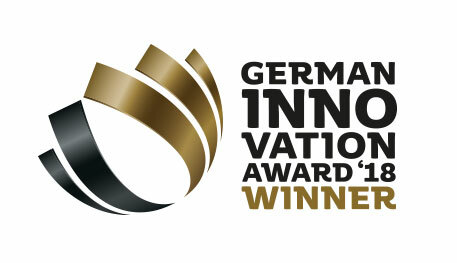 The presence management system from the unified & CTI software suite ProCaThe German Innovation Award recognizes products that are distinguished for being user-focused and adding value compared to previous solutions. A professional presence management system incorporates all information sources from which the current availability of a person can be derived. As part of a communication solution, presence provides information about the current accessibility of a person. Therefore, a form of communication that is suitable to the situation can be used to contact the person. Presence management systems are not an invention of digitalization, but have their origin in the analog "Busy Lamp Field" of the telephone exchange. Due to a multitude of new communication channels, which have since become established in everyday working life, the importance of the presence display has continued to increase. Modern systems therefore include all available communication channels. ProCall Enterprise bundles all important communication channels into a single application. 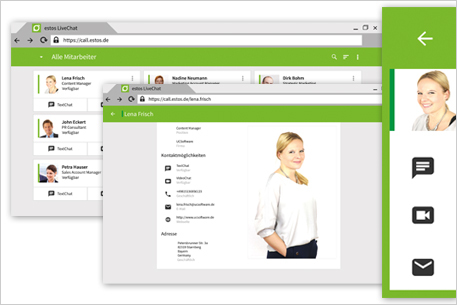 Due to a comprehensive presence management system, users can see at a glance the current availability of other colleagues and, via federation, employees of "friendly" companies. This means that you can always choose a communication method to contact people outside of your own company that suits your own circumstances. ProCall Enterprise also has CTI (Computer Telephony Integration), instant messaging and screen sharing. The software offers possibilities for audio/video communication (WebRTC-based) in the form of text, audio and audio/video chats and optional integration of communication functions into the business processes of a company (business process integration). Presence management, which is a core component of the unified communications & CTI software suite ProCall 6 Enterprise, enables users to communicate effectively. Depending on availability, you can always choose the most suitable communication channel from a variety of options. "Presence management systems are an essential basis for the flexible workplace and working-time models. Only if accessibility can be permanently viewed, independent to a specific location, can modern working models be established without loss of efficiency. Our presence management system ensures maximum transparency, while maintaining the company's compliance requirements through a wide range of configuration options." "At estos, we have a vision: In the future, companies will not only inform via their website, but also communicate – with customers and partners. Integrated presence management automatically handles the availability of individual contacts in the company, so that general accessibility is guaranteed. A website visitor has the opportunity to get in contact with an available employee at any time." With the possibility of getting in direct contact with potentially interested parties and customers via their own company website, an additional communication channel is created for companies. This will continue to gain importance in the future. Through LiveChat 2’s integrated presence management, for example, as a website widget displayed on a product page, the interested party will find an appropriate contact person currently available for the product. By text, audio or audio/video chat, the interested party can immediately be put in contact with the company employee without much effort. LiveChat 2 enables a company to communicate easily and personally with its website visitors. Whether text, audio or audio/video chat – an interested party or customer is always put forward to a currently available and qualified employee.